United Bravo is finally available for purchase. If you’ve been planning to get one, better hurry because only a limited amount of units have been produced for now. The United Bravo has been in the news over the past few weeks. Mainly because it will be the first car to take on Suzuki Mehran in its price segment, and it’s also among the first few cars to get launched by new auto companies in Pakistan. The Bravo costs Rs. 850,000, only Rs. 10,000 more than a Mehran VXR, and much lower than Suzuki’s Wagon R.
It’s a small hatchback, a rebadged Chinese Dahe 350, and is among the most feature-rich local cars in its price segment. Here’s how you can book yours today. As we reported earlier, you’ll have to make an Rs. 200,000 advance payment to book a Bravo for yourself. The company has released more details related to the purchase process. After making the initial payment, you’ll have to pay rest of the amount within 15 days before the car gets delivered. United Motors says that the car will start getting delivered in the first half of December 2018 for people who book this month. According to the company, the car should deliver in a maximum of two months’ time overall. We should mention that the supply is limited and United Motors hasn’t mentioned when it will start producing more units. A pay order in favor of the company. Only authorized United dealerships will take new orders. There are only six such dealerships in the country, one in Islamabad, one in Lahore, two in Faisalabad, and two more in Bhelwal and Multan. 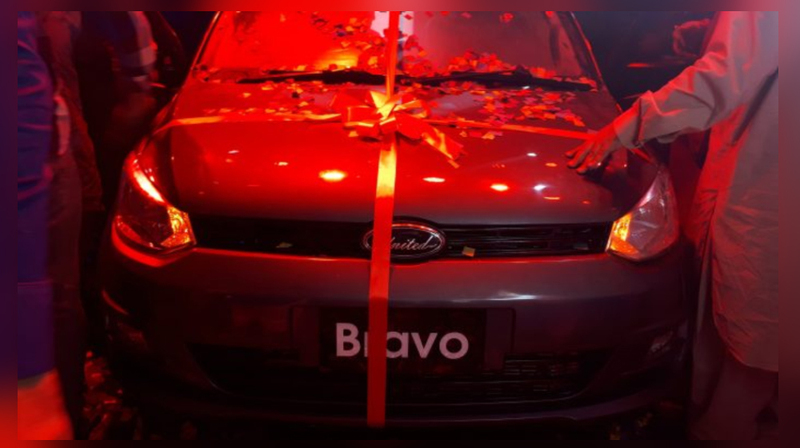 Previous articleIs United Bravo Actually Better Than Suzuki Mehran? Next articleHow Islami Jamiat-e-Talaba Compete with Communist Ideology ? I do consider all the ideas you’ve presented for your post. They are really convincing and will definitely work. Nonetheless, the posts are too short for newbies. Could you please extend them a bit from subsequent time? Thank you for the post.